Must Haves When Getting a Puppy! Marielle is a first class animal lover and fanatic reader. She obtained her Bachelor of Animal Sciences from the University of Wageningen. Most people go crazy for puppies . . . our hearts melt, and we often let out an (in)audible "aww!" When we see a puppy, we always want to pet them and squeeze their faces (or maybe that's just me). When you're looking for a puppy and finally find the perfect one, you need more supplies to make that little pupper feel comfortable in your home. You have to create a home for them as well, and let them know they're loved. 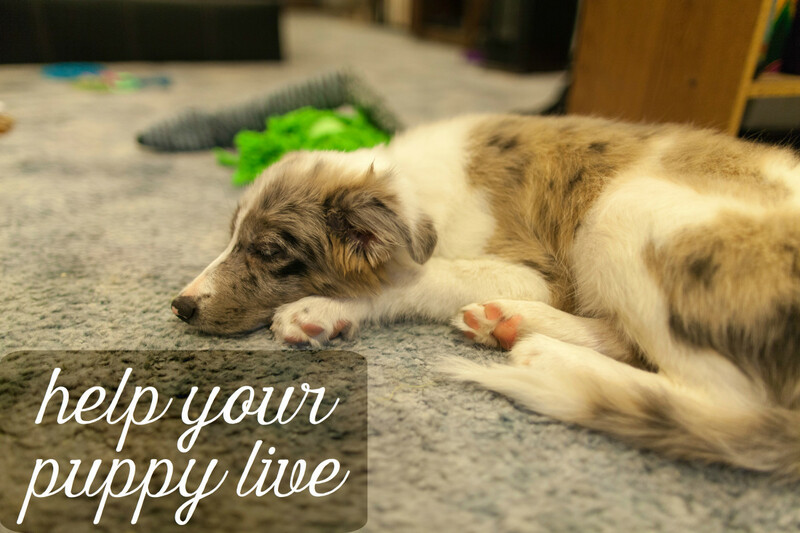 So, what are some must-haves and what do you buy before you take a puppy into your home? We will summarize these items below. This is perhaps the most important item of all that money can't buy! Puppies need time and they need love. Don't get upset at your new pup for doing something it shouldn't do, they don't know that yet! Be patient, loving, and caring! A Crate: Most people don't like the idea of a crate, however, it is necessary for this young, new life. It's a place for the pup to retreat to when sound/energy stimulation can become overwhelming. It's also a great place to keep the pup when you're out of the house or sleeping (build this up! ), so there won't be any ehm . . . 'accidents' inside the house. It's also a good way to potty train your little barker. Make sure the crate is big enough for the pup to grow into. 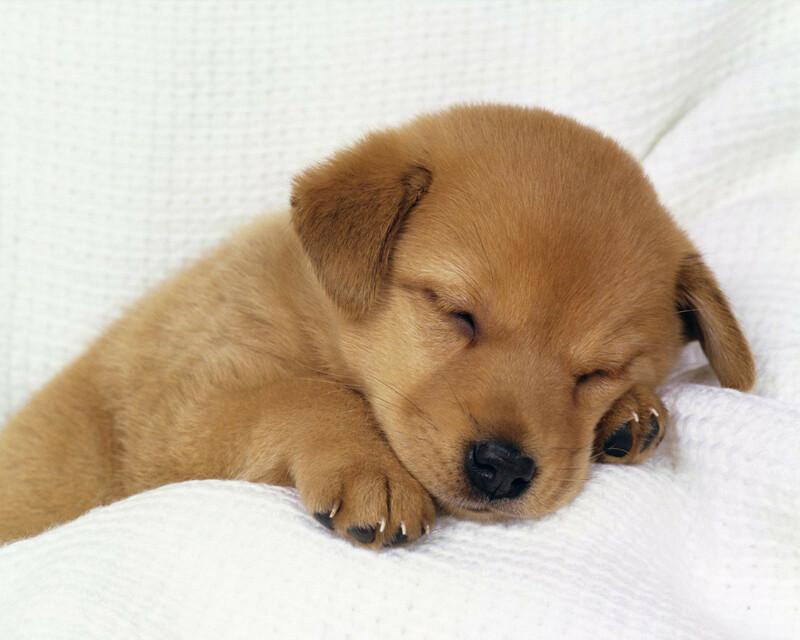 A small puppy can grow up very fast unless it's a small breed of course. Also be sure that your small Houdini can't get out of the crate, so make sure it's sturdy as well. A Bed: Imagine coming home with your new owner, and they lay you down in this hard metal crate. That won't do! You need to buy your new lover a soft and nice bed, a decently sized crate, and comfortable bed to sleep on. There are so many options here, that it's a matter of preference. Be aware that not every dog likes every bed! Don't be like me and go out to buy your pup a $60 bed only to see that they prefer laying on the floor in front of it. Keep the receipt, it's just a tip. Some stores allow you to bring your pup, so why not let them choose their own bed? If you have a breed which is known for having physical problems, you can look into orthopedic beds as well. A Leash: Keep that pupper under control and get yourself a good and sturdy leash. This is your connection to your pup, and it makes him/her feel a lot safer. A leash can be a helping guide in potty training, and keeping your little companion away from distractions and things they should rather leave alone (like that dead squirrel they so badly want to investigate). Make sure the puppy is used to the leash, so take your time training him/her into wearing one. A Collar: With the leash comes the collar—a properly fitting collar. Not one where the pup can slip their head out of. 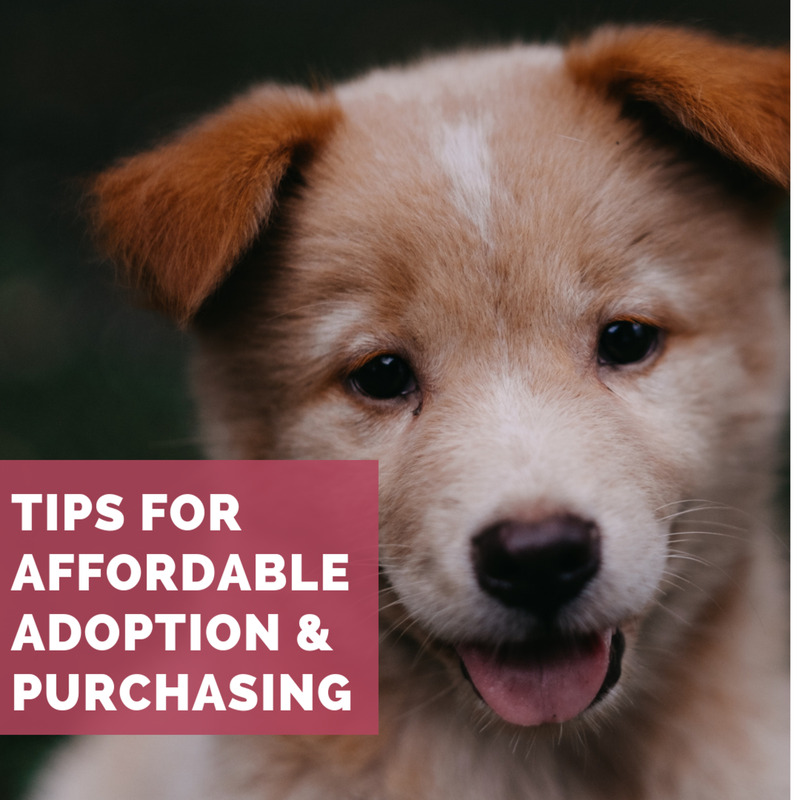 Also be sure that the collar is of a good quality material (like a sturdy leather one), so that it won't break easily, or your pup can chew its way out of (trust me on this one). Preferably find a collar which can grow with the pup and be adjusted, and if possible, with an extra buckle, because . . .
An Identification Tag: With the collar comes the tag. Engrave the tag with the pup's name and your personal information. It is very needed if your little hole digger gets away, and you want it to find their way home again. You can usually get these engraved in most stores, and are available in different designs. Poop Bags: When you're out walking with your dog, you'd rather not be that owner and watch your dog do their business in front of the store and walk away with 'shame' written all over your face. Or no shame, but honestly, that makes you a different kind of person. Poop bags are your solution and savior! They usually come in little handy holders that you can clip onto your leash. Job well done. Both of you. Puppy Pads: Pups need their potty training to avoid certain accidents inside. Puppy pads are a great way to make sure they do their number ones and twos in a certain spot, instead of somewhere around the house where you'll be looking for it. This is especially helpful when you're living in an apartment and can't get outside within a few seconds (when a pup wakes up, it usually needs to go potty). Bowls: A water bowl and a food bowl. Basic as that. Small, big, in a stand or on the ground, that's up to you. Be careful not to pick a cheap, plastic bowl, puppies like to chew, so that plastic bowl probably won't survive the week. Ceramic bowls are a great alternative! Want to keep your floors clean? Look into some doggie placemats for underneath the bowls. Less of a mess. Puppy Food: Puppy food is very important for your very hungry and growing vacuum machine on paws. Make sure it truly is for puppies, since they need the nutrients, proteins, minerals, and vitamins to grow and get strong! Usually, pups need this food for up to six months, but never hesitate to ask your vet about the ins and outs. Toys and Chewy Stuff: Spoil your newly beloved and buy him/her some great chewing toys! There are so many different toys available, it's insane. Ropes, plushies with and without squeakers, balls, puzzles, you name it and it probably exists. This is another thing you can let your pup choose for themselves, they'd be thrilled to do so! Some toys I'd definitely recommend are the rubber chewy ones. 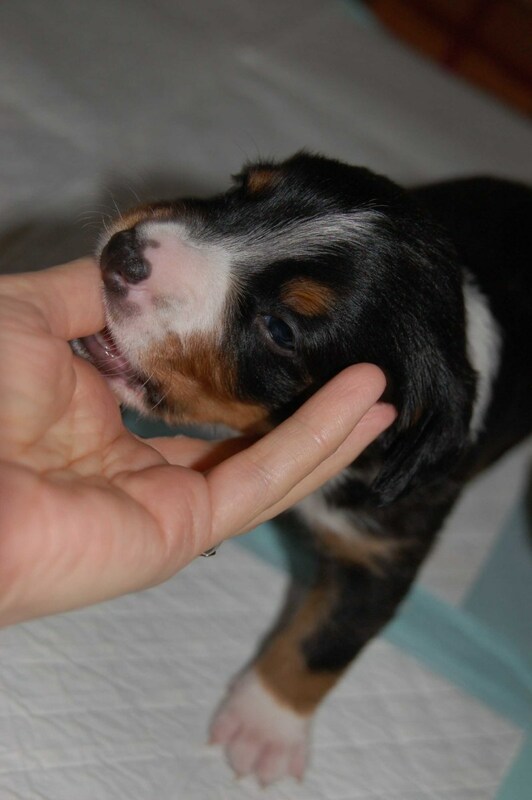 Puppies want to chew all the time, especially when their baby teeth are falling out. To avoid them chewing on your shoes, choose a nice and bouncy chewing toy. When you give your pupper their new toy, stay with them! 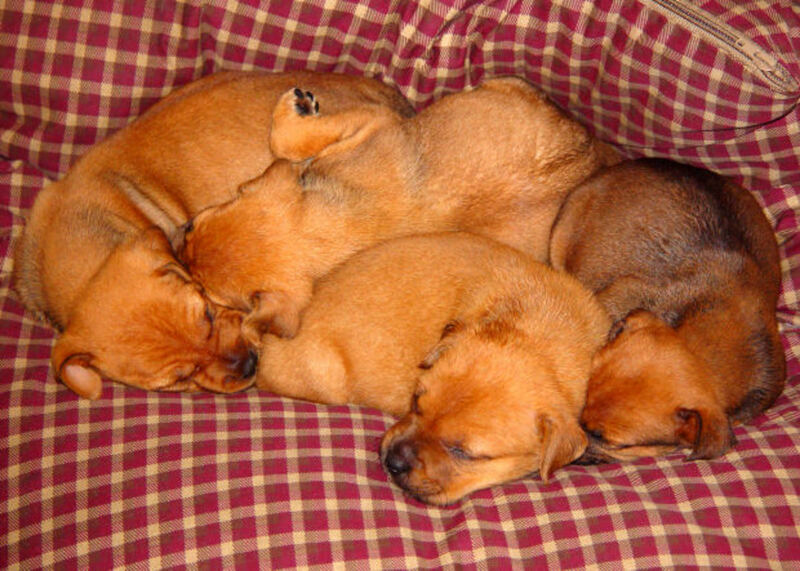 Some pups can get through ánything and will break them, which can cause a (choking) hazard. Immediately take the toy away and inspect if they have ingested any of it. Treats: Like humans, dogs enjoy some snacks or treats alongside their normal dinner. Who wouldn't? Treats are also an amazing way to train your little one, and maybe teach it some extra tricks. Most dogs would do anything for that yummy treat! There are many types of dog treats, but make sure your pup has no allergies to any ingredients (yes, this happens). Always use small bites so they won't overeat. Other little snacks could be tiny cubes of cheese or pieces of meat. Grooming Supplies: It's important to keep your pup clean and groomed at all times. 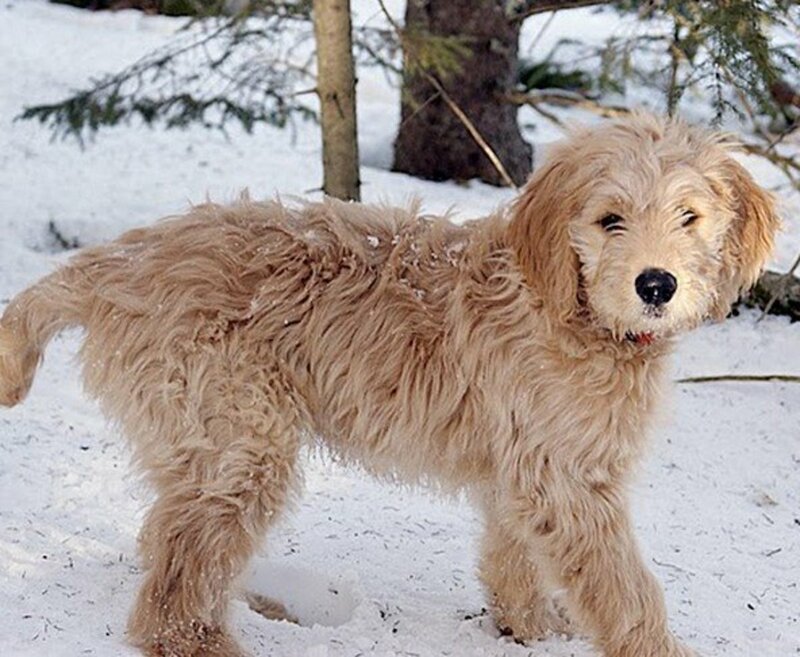 Their fur needs to be free of knots and filth, or it could become a health issue. It's best to look for the following things; a comb, conditioning spray, shampoo/conditioner, a toothbrush (if necessary), and nail clippers. The latter isn't particularly necessary if you're afraid of hurting the puppy, as many groomers will clip your pup's nails for free when you ask them. Always clean the supplies after using them and store them away safely. Or risk it becoming a chew toy (that's another thing I've experienced myself). Microchip: Better safe than sorry; microchip that pup. 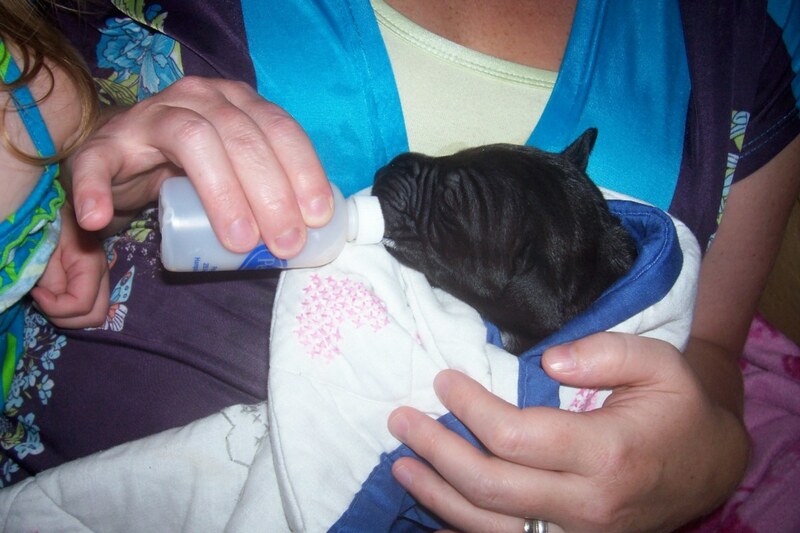 Ask your vet to insert a microchip into your puppy (it's just a small rice-sized chip). It contains all your personal information. When your pup does get away without his collar, the vet can just scan his chip and will know that you're its owner. Don't forget to register your puppy, or else this will be useless! 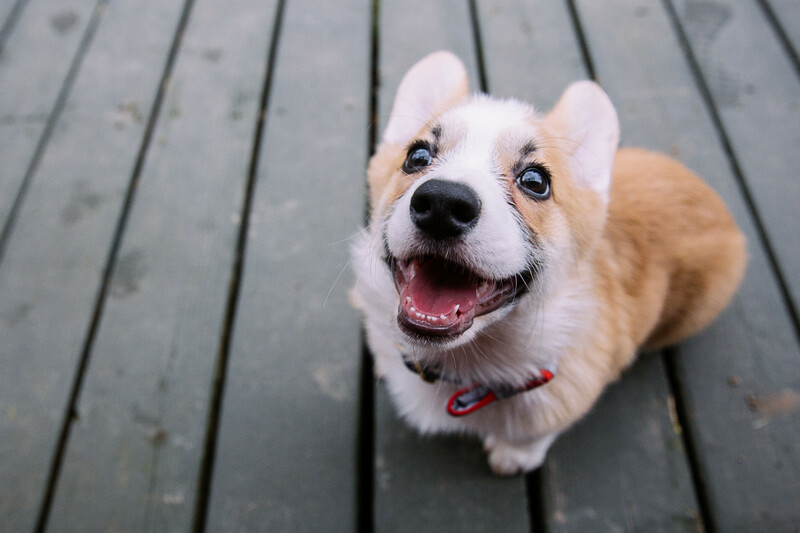 Insurance: Yes, you can insure your dog. Everyone needs insurance, and it's very handy when something bad happens to your furry roommate. You'll be glad the vet bills won't be as high as they would've been without the insurance. Harness: When you're not fond of collars, you can also choose a harness. This restrains your pup's whole body, and not just it's neck. This also reduces the risk of giving your pup a bad cough when you pulled a little too hard (don't worry, it happens to the best of us, just be more careful the next time). Car Safety Harness/Leash: If you want to take your pupper for a ride, you need to make sure it's secured in place. You don't want that little floofball to become a projectile when you need to emergency brake, nor do you want it to pop up between your fee because the little rascal figured out it could crawl underneath the seats! That's where the harness/leash comes in. Bought in pet stores, they can click into the seat belt fitting and make sure your tiny one is safe and sound. Clickers: When wanting to immediately start training your pup, a clicker can come in handy. It'll take some time and training, but eventually, you can leave the treats behind and just use the clicker. It may be a bit better than having an obedient but overweight pup. I hope this is a helpful article for anyone who's welcoming this new bundle of love and joy into the family. Make sure to love that little hairy ball of fur and it'll give you more love than you can ever handle! This has become quite a long checklist, so here's a quick summary for your convenience. 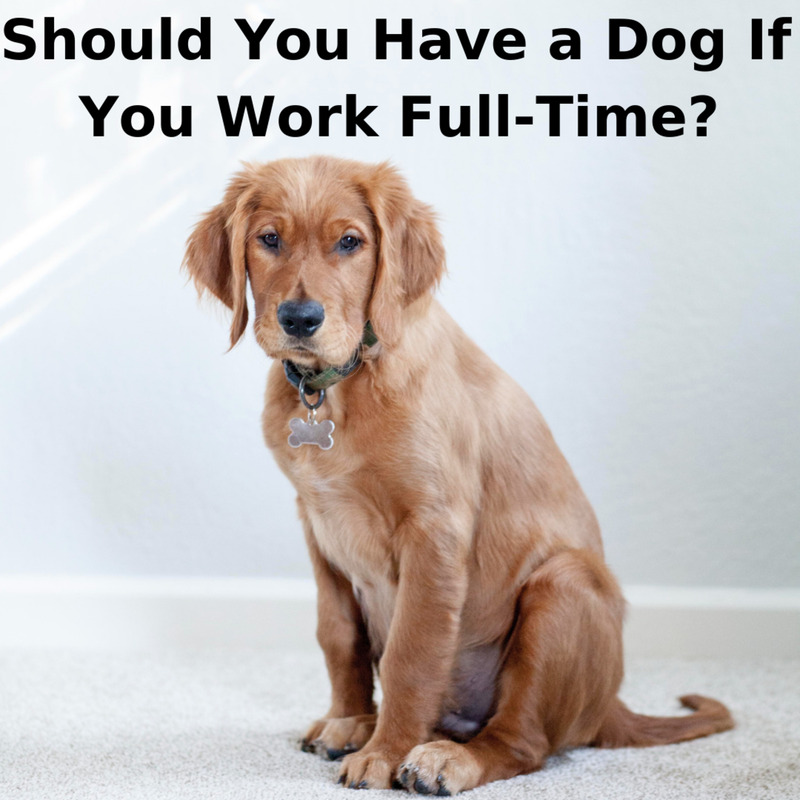 Is It Right to Have a Dog If You Work Full Time?